Tag-Archive for "Chairman’s Reserve 1931"
With a recent staff change at Trailer Happiness, it would appear that there’s also been a change of approach to the Rum Club. 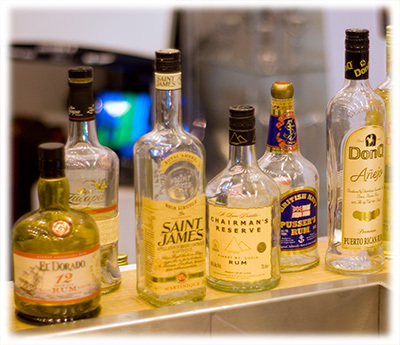 So far so good, as not only was I pleasantly surprised last Friday to receive an email from the Rum Club advising of 4th July Rum Club, but I would personally say that lasts nights tasting session provided by Andrew Scutts on behalf of St Lucia Distillers has been one of my favourites so far. 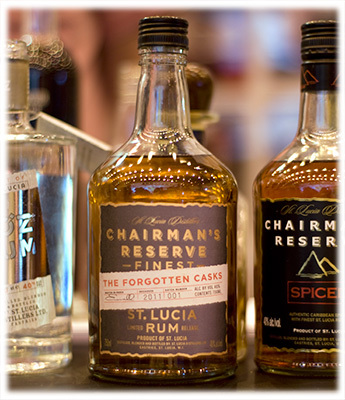 For those not in the know, St Lucia Distillers distills and bottles a number of brands including but not limited to: Chairman’s Reserve, Elements Eight, Toz and Admiral Rodney. 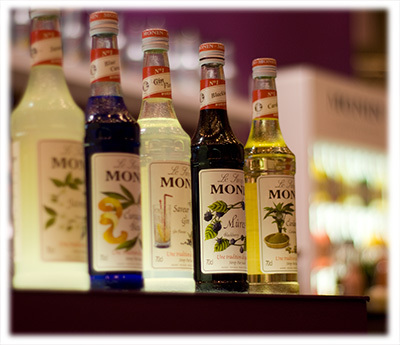 Of these, Chairman’s Reserve is probably the most recognisable brand to most as it’s available at several locations in the UK including the supermarket chain Waitrose. 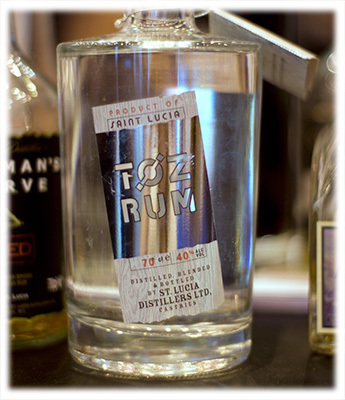 From comments being made last night by some of the Rum Club faithful, not only are the rums of St Lucia Distillers held in good regard, but they’re also considered good value for their quality at reasonable prices. The evening started with a brief overview of the history of Saint Lucia and the St Lucia Distillers, along with a short geology lesson on the fertility of the island’s soil, due to the Qualibou volcano that helped shape the island. It was at this point that Andrew pointed out that the importance of the volcanic activity of the island was reflected on the bottles of Chairman’s Reserve, with its representation of Gos Piton and Petit Piton mountains in its logo. Whether intentional or not, this led nicely onto our first tasting of the evening. That of the recently introduced Chairman’s Reserve Silver. A 3 year old, charcoal filtered white rum, bottled at 40% / 80 Proof. A blend of 90% column still rum and 10% pot still rum I found this rum light and smooth with a very subtle bite. 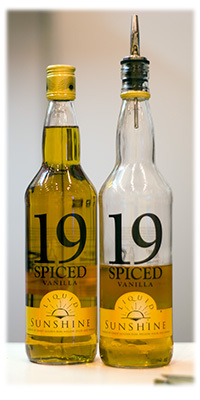 More of a mixing rum, this was considered suitable for cocktails such as a Mojito and Cuba Libre. This was followed by Chairman’s Reserve, which has been on the market for a while now. It’s a 3 – 5 year old golden rum, that has been bottled at 40% / 80 Proof and is a blend of approx 65% column still and 35% pot still. The higher blend of pot still gives the rum more character and taste, while remaining smooth and easy to drink either neat or mixed. 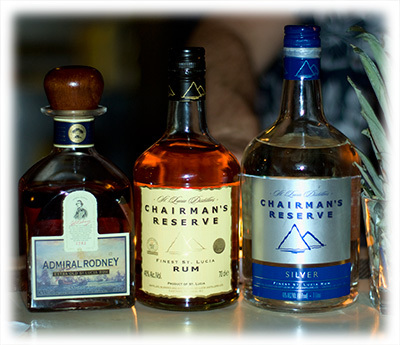 Finishing off the current range of Chairman’s Reserve, we sampled Chairman’s Reserve Spiced. 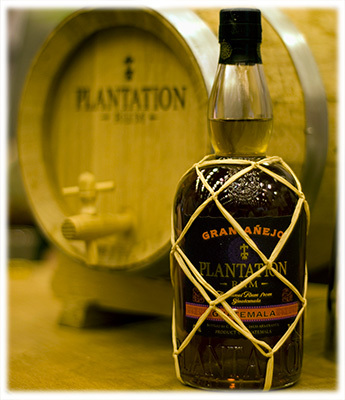 This is a sweet and light spiced rum with aromas and tastes of oranges, cloves and cinnamon flavours. Still bottled at 40% / 80 Proof, this golden rum has been infused with the spices for a month in steel vats, giving it a very sweet and easy to drink nature. Having considered myself privileged to try Chairman’s Reserve Silver rum before it goes on general sale in the UK, I felt doubly blessed when Andrew pulled out a prototype bottle of the soon to be released Chairman’s Reserve 1931 from his bag. 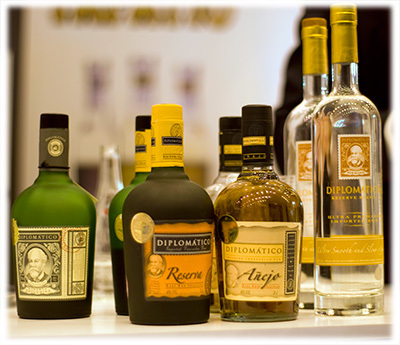 Explaining that we were the first in the UK to even try this premium rum, I can say it was highlight of the night. 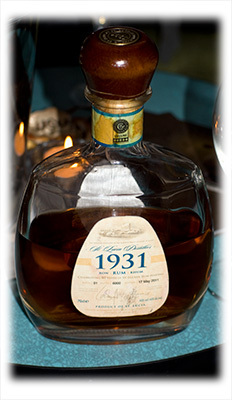 Chairman’s Reserve 1931 represents the best of the brand and commemorates the 80 year history of the St Lucia Distillers. Blended from 9 casks of 5 – 11 year old rum, 7 of which are American Oak Bourbon with the other 2 being Port, this rum has been bottled at a higher strength of 43% / 86 Proof. 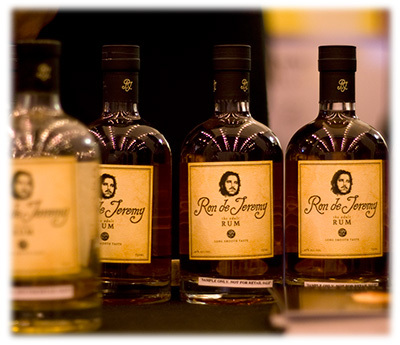 Strong, slightly dry with a long aftertaste, this rum will be limited to approximately 1000 cases a year with something like 100 – 200 cases reaching the shores of the UK. Andrew advised that each year the mix of rum casks will likely change, meaning that each year this limited edition rum will take on a slightly different taste. If it wasn’t for the quality of the next rum, it would have been easy to think that following the Chairman’s Reserve 1931 would have been a tough act to follow. However, Admiral Rodney Extra Old St Lucia Rum in its decanter style bottle proved why it has been so highly regarded since its introduction. Bottled at 40% / 80 Proof, I found this 8 – 11 year old rum quite sweet for its age, with an aroma of caramel. 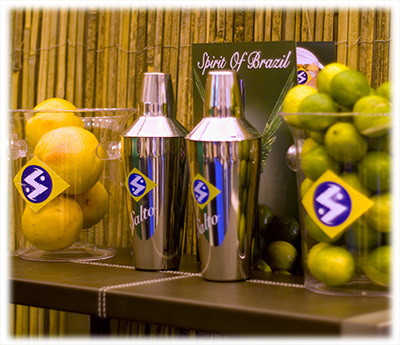 To finish the evening, we were introduced to Toz White rum, served as a Daiquiri. While I can’t comment on the rum directly, not having tasted it neat, I can say that this 5 – 8 year charcoal filtered rum made for a good Daiquiri. Toz White is finished off in Sherry casks, before being bottled at 40% / 80 Proof. 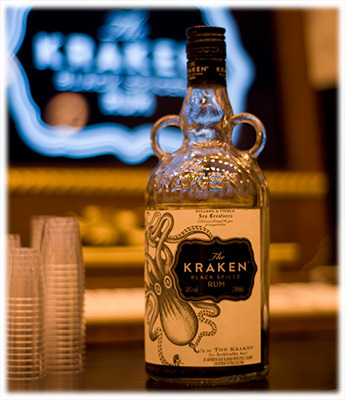 All in all a good night and one to remember, not least for trying two great new rums. So all that remains is to say my thanks to Max and Trailer Happiness for hosting the Rum Club and to Andrew Scutts and St Lucia Distillers for such a good evening. For those interested in joining the London Rum Club, please either visit the Rum Club website or pop into Trailer Happiness and speak to the bar staff.